Jeni Fender has been coming to Herne Hill market since the very beginning - initially as 'Made in East Dulwich', but she made the move out of the capital recently to establish a new shop in the beautiful village of Dunster in Somerset. She makes oilcloth bags, cards, jewellery and cushions, all with a contemporary edge, and with a graphic, colourful, floral vibe. Jeni also takes bespoke orders. Jeni comes to the market once a month, see her website for dates: www.madeindunster.co.uk, and her facebook page for her news. Spotty Vinyl is a network of small record shops that are located within existing shops. Currently you can find Spotty Vinyl stock in two health food shops and a framing shop across three locations in South London. New stock arrives every week. Second hand vinyl is a major part of the stock, but new re-issues are also available. 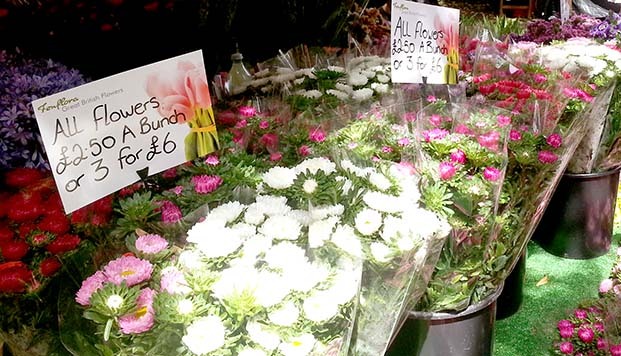 Fen Flora have grown British cut flowers and bulbs near Wisbech for many years. Peonies are their speciality in June. Wreaths are always available during the festive season and summer. They have attended Alexandra Palace Farmers' Market since 2005. More Jewellery is run by two Silversmith students Elisabeth and Patricia. On their stall you will find rings, bracelets, necklaces, earrings, cuff links and brooches, all individually designed and handmade. Each piece is unique. The materials are principally silver and also include precious and semi-precious stones. Elisabeth and Patricia are happy to take commissions. Dippity T creates T-shirts that draw on musical influences, take inspiration from the natural world and craft a strong statement. Their designs are printed on good quality 100% cotton garments and are certified by WRAP and OEKO Tex accreditation. Launched in May 2015 the company is located in Bowes Park, N22 and is trading via www.dippityt.com and various local markets. This stall is a collaboration between Faye Peacock – the founder of Lead & Ball, Classic Stationers of London and three other London based designers and makers; Katie Moh a is leather maker who produces a classic range of leather bags, Katy of Ola-London is a young designer who’s producing minimal and beautiful stationery inlcuding note books and greetings cards and Richard Ince is a sixth generation umbrella maker – a master of his trade. Together they are committed to producing high-quality, practical and beautiful items for work and for your journey into the office. 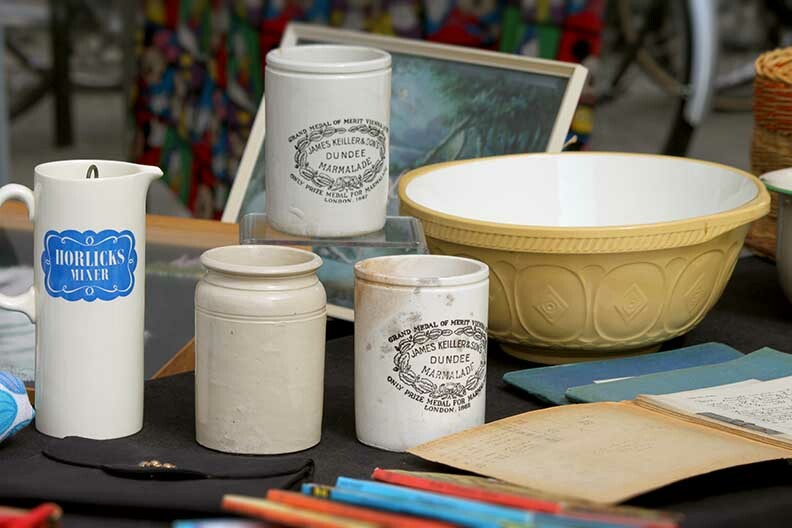 Barbara Patel’s stall offers a very personal selection of 20th century collectables of all types, with an emphasis on design and colour: china, glass and plastic tableware, kitchen ware, decorative items as well as books, costume jewellery and fabrics with a touch of the kitsch and quirky. 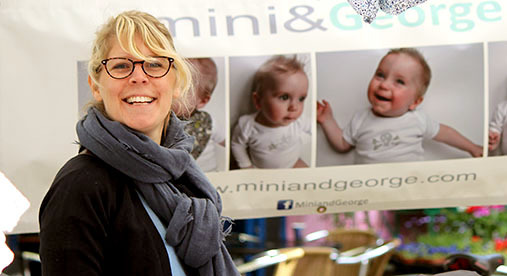 Mini & George make accessories and nursery bedding for newborn baby up to 12months old. All the clothing is handmade using Liberty of London fabrics, 100% cotton and they only use the softest cashmere/merino wool for the hand knitted hats and cardigans. Each of the fabrics is sourced for quality and comfort for your newborn baby. Mini and George's nursery collection consists of quilts and pillows which are appliquéd and hand quilted with stars and butterflies. These are ideal for the cot or as a play mat. Tribe Life Creations – Handcrafted creations where ancient survival meets modern art. Local family organisation Elite Transformations have been handcrafting and selling their creations for the past 3 years. Using locally collected wood from the forests of North London and recycling materials wherever possible, their handcrafted creations which include chess sets, staffs, statues and copper and crystal jewellery, all draw inspiration from many ancient cultures transformed for a new generation. If you come to visit them at the market remember to check out their totem pole in the grounds of Alexandra Palace. Place in Print is a South London based design studio. They design a range of prints and products that celebrate the unique identities of London’s neighbourhoods. Their aim is to bring beautifully designed, modern and affordable products to people’s homes. Leaping Lizards is a small business owned by two friends. We make children’s and adult clothing with a variety of fabrics from all over the world. We specialise in the use of African fabrics that we source and import ourselves. We are committed to making good quality, comfortable and affordable children’s fashion. We have a shop in North London where we can be seen sewing the fabrics on a daily basis. What hidden gem will the Magpie bring to market next? Sarah Lovett, a professional props buyer for film and television, just can’t stop picking up things that catch her eye. 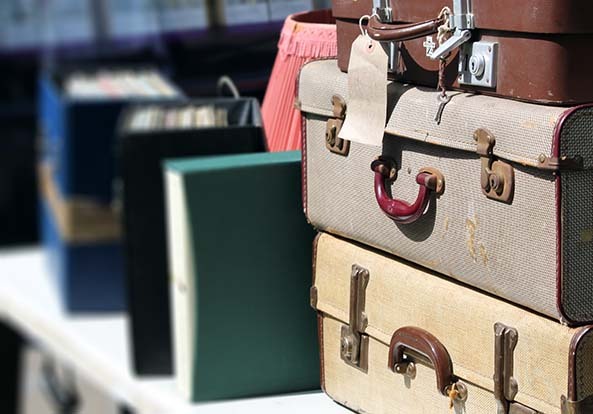 Homewares, fabrics, unusual decorative items, vintage jewellery, modernist ceramics, it’s an ever changing mixture of fascinating stuff, all recycled, crafted or Made in England – no cheap imports here. Come and be intrigued by Naughty Magpie Wares, and don’t miss the seasonal willow sculptures she makes, Sarah grows willow and green roof plants too. 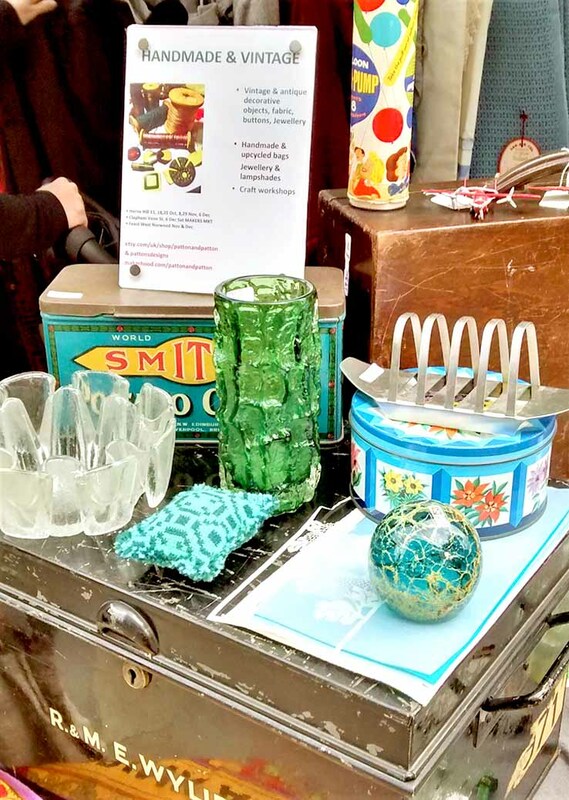 Catherine has been selling vintage decorative items including home-ware & unusual gifts at Herne Hill for over 3 years. 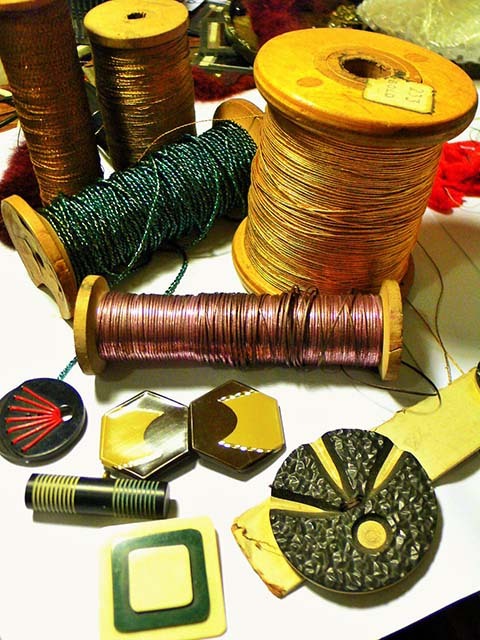 Items include jewellery, textiles, buttons, mid-century glass, and refurbished and hand made environmentally friendly items. Catherine also has three Etsy online shops selling antique & vintage art, unusual quirky items ideal for home or business, fabrics & craft items, clothing & jewellery. 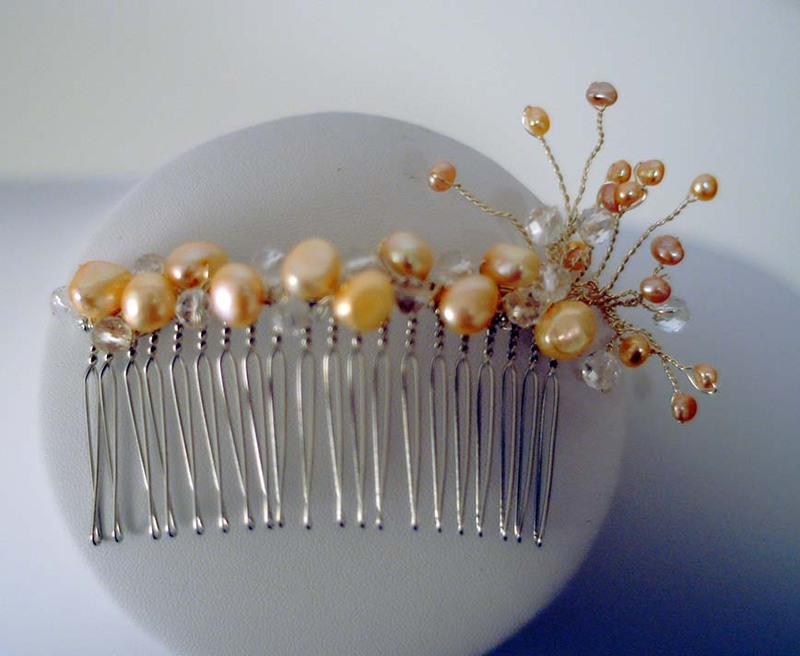 Catherine also has a PGCE and years of teaching experience, partly in museums and is available for delivering craft workshops for all ages in jewellery making using vintage materials, prices on request. Annie makes mosaics for the home and garden. She loves to up cycle and uses all manner of materials from car windscreen glass, broken jewellery, in fact anything she can lay her hands on! She also has a jewellery range which she makes using old damaged vintage china. She loves the thought that small broken pieces can be put together again to make a beautiful whole to be treasured anew. Each one of her pieces is original, unique and one of a kind. 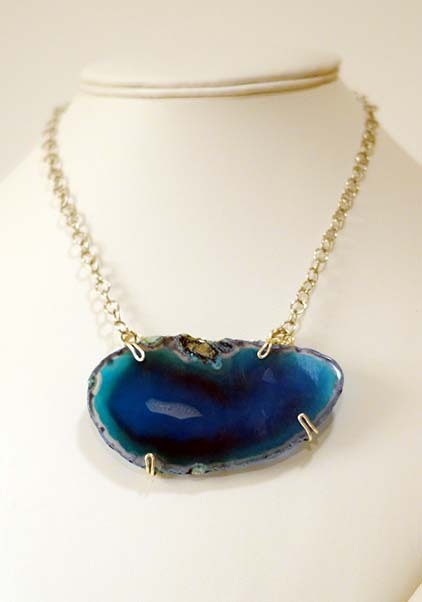 If you have a piece of broken china which is of sentimental value, she can recycle it and make it into a lasting memento such as a piece of jewellery. Contact her by mobile: 079 099 25047 or email: angelc_25_2002@yahoo.co.uk and she’d be delighted to help. Zoë is a local artist and textile designer who works with camera-less photography - blueprinting, also known as cyanotype - making unique prints on paper and fabric. Trained in textiles at a Central St. Martins she loves fabric and colour and with a background in fashion applies her designs to clothing, scarves and homewares. She is open to work to commission - blueprint portraits make a unique way of capturing a silhouette. Or creating a significant textile piece for a client. Zoë can often be found with her stall at Herne Hill Farmers market on a Sunday 10 - 4pm and welcomes studio visits by appointment. Marion Spy has a background is in historical fashion and retail management, and she has a lifelong love of collecting beautiful things. In 2007 she decided to combine her love of vintage style and her talent for putting together unusual pieces by establishing Spyware Vintage: her hand selected collection of unique, vintage fashion and style for wear and home. From the 1920’s to the 1980’s, she personally sources and curates an eclectic mix of desirable pieces at very reasonable prices. Spyware Vintage are at Herne Hill Market on most Sundays where you will find a different and unique selection of vintage clothes and accessories for adults and children, jewellery, collectable ceramics and glass, furniture, vintage books and ephemera. Marion’s friendly, helpful, personal service, and the quality and value of her collection has won her a circle of loyal, regular customers. 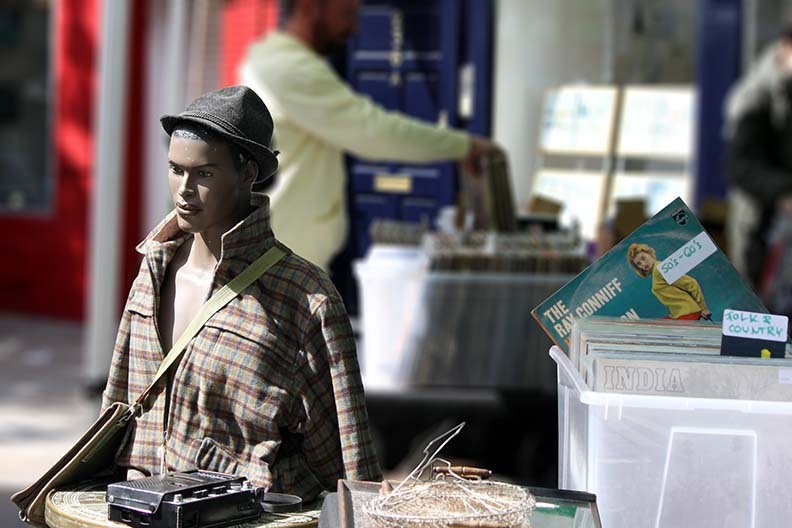 Do come and find Spyware at Herne Hill and she will help you to find something unique and special to suit you. Gill Scheuer makes bags, bike seat covers, brooches and bunting out of the upcycled fabric from discarded umbrellas. As a passionate hater of waste, Gill always felt that something should be made from the fabric that is thrown away when an umbrella breaks, which they frequently do. Out of this, the umbag was born: a tote bag that not only uses upcycled fabric, but is also designed to be kept in your bag at all times and help you avoid the need for plastic bags. Next came re-‘cycle’ seat covers – an umbrella for your saddle! Gill makes all her products herself, from her home studio in West Norwood. Her work can be found on etsy.com, makerhood.com and bluepatch.org. The Crooked Style is the label under which South London Artist and Illustrator Alodie Fielding sells her quirky, fairytale and folklore inspired artwork. Her work comes in the form of high quality digital prints, hand made cards, unique illustrated pendants, brooches and rings and hand drawn shrink art jewellery. Future products will include limited edition screen prints and hand painted items such as picture frames and boxes. 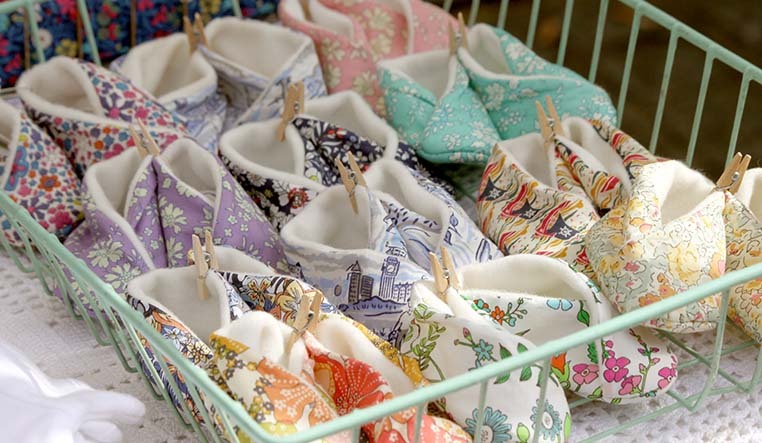 Alodie has been regularly selling her wares from her stall at Herne Hill since September 2012 and also sells through her website and other outlets. Joan Longley is a botanical artist who uses mainly coloured pencils to create her designs of flowers, birds, and insects; in fact anything you may see in a garden. She attempts to draw as close to reality as she can possibly achieve. She uses coloured pencil as her main medium because she finds it gives her a good depth of colour, occasionally she also uses watercolour. She transfers her drawings to greeting cards, gift wrap, gift tags, cotton shopping bags, tee shirts, and calendars. This is an enjoyable and inexpensive way of sharing her work with other people. She also draws pet portraits using pastels or coloured pencils, using photographs provided by devoted pet owners. 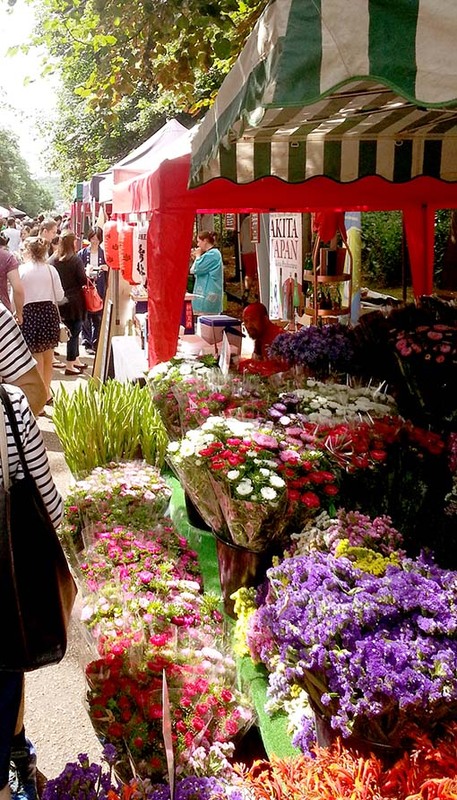 Joan has been with CCFM at Herne Hill since it started in July 2012 when she was 76 years old, so she is possibly the oldest stall holder there! 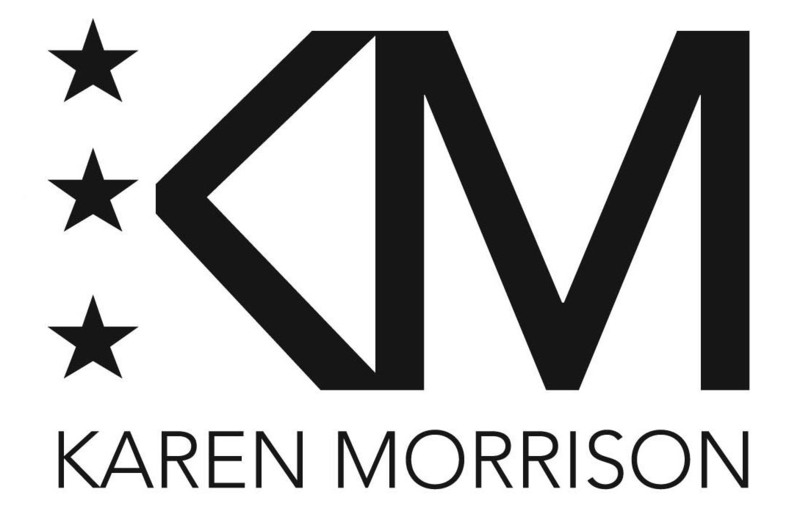 Karen Morrison is an award winning London based jewellery designer who creates fine and fashion jewellery. Karen is inspired by the natural environment and the Art Deco period, she also has a life-long passion for fashion, both contemporary and vintage. Each piece is handcrafted by Karen in her Brixton studio with the help of Hatton Garden craftsmen for stone setting and gold plating. She works with colourful precious gemstones and freshwater pearls blended with sterling silver, 9ct gold, oxidised silver and 22ct gold plate. Karen creates jewellery that can be worn everyday as well as glamorous statement pieces for evening wear. Her jewellery has featured in many publications such as; Vogue.com, Elle, Grazia, Red, Wedding and Home, ES magazine and Professional Jeweller magazine. Stripey Squirrel is a unique little clothing line for babies and toddlers, all about saving waste, upcycling and reusing lovely fabrics and materials that need a new lease of life. They make everything themselves using second hand and pre-loved clothing so each piece is one of a kind. There's a wide selection of trousers, leggings, skirts, shorts and tops ranging from new born sizes to approximately 4 years old. They also love doing commissions using that old jumper or dress you have gathering dust in your wardrobe and transforming it into something for a special little person! Check out their website or Etsy shop to see the range or to get it touch, or follow them on Facebook. Pat created her ‘Striipes’ concept after returning from living in Kenya for 21 years, where she taught art and was a well-established artist. Her merchandise is varied , widely sourced and includes her own creations. Her products from Nairobi are bought from local women’s groups whom she knows. There are striped Kenyan baskets, striped Kenyan cotton home items like napkins, cushions and aprons, and her own abstract striped pictures and cards. The ‘Striipes’ theme links all her exciting and colourful goods. Geologist and jeweller Salim Patel offers a wide range of Earth treasures on his Prehistoric Presents stall. From pocket-money fossils to specimen minerals, each item comes with scientific information to encourage people of all ages to find out more about their purchase. Salim also sells billion years old meteorites, “Cosmic Shrapnel”, as well as stone age artefacts and the remains of Ice Age mammoths. Here you will also find your polished and natural Crystal Healing rocks. His children’s party/gift bags containing petrified dinosaur poo and other exciting fossils and minerals were recently featured in the Guardian Christmas Gift guide and are available on his website. 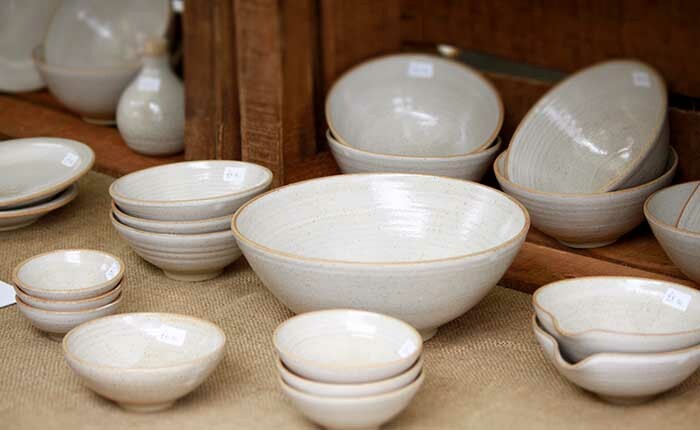 Jan Pateman is a local artisan potter who has lived and worked in South London for the past 35 years. She makes beautiful, simply-decorated, functional ceramics; bowls, plates, mugs, jugs, oil bottles and vases. All her work is thrown and finished by hand, then glazed in her workshop less than a mile from Herne Hill Market. 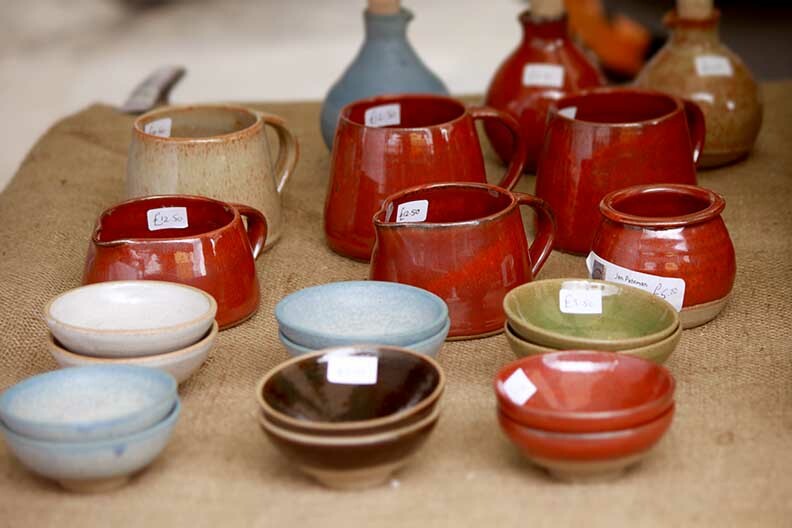 Farmers' Market artisan foods look and taste better served on hand-made pottery. Don't just take our word for it. Try it for yourself! carpets and other household items. Each item is individual and one off, so no two items are the same. Sarah makes collograph prints which are often inspired by feelings, adventures, memories, love and other emotions. Each collograph plate is made up of mountboard, tape, glue and sometimes carborundum. Sarah then then scratches and cuts away pieces of the mountboard until she has he image she wants. She mixes up ink for each printing session then inks up each plate by hand with sticky ink. Then the ink is wiped back so it only remains in the scratched lines and the cut away board adding colour by a technique known as a la poupee. The plate is then put onto a printing press and pulled through with dampened paper on top. This whole inking up process has to be repeated for each print thereafter which is why prints can vary a little in colour making each print unique and original which is all part of their charm. 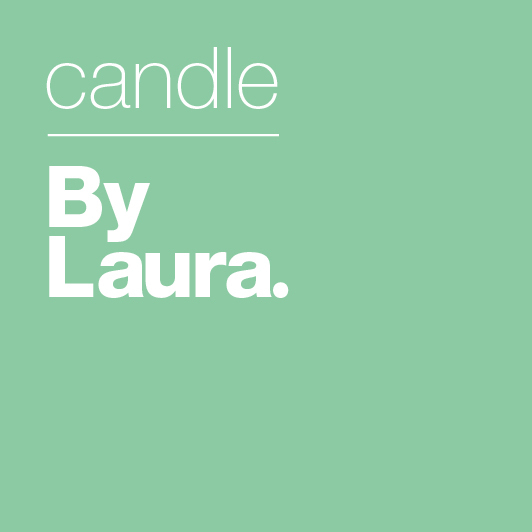 By Laura is a fairly new, but very exciting venture from Laura Francis, selling handmade scented candles. They are all made from natural soy wax and a blend of essential oils. Her scents range from an air freshening orange, vanilla & coriander blend named Reset, to a more modern and crisp Green Tea & Spearmint. And when it comes to styles, there are classic glass tumblers or some more bespoke offerings. Laura pops in and out of our Oval market and should be seen in Herne Hill soon too. Blankets & Ballgowns is a family based business. Started in 2012 by daughter and mother team Emily and Sue. We have grown organically with every family member pitching in; the latest edition is Angel the dog. Blankets – Beautiful Hand Dyed Vintage Woolly blankets and cushions. Totally unique and utterly gorgeous. Picnics – Fabulous Vintage picnic sets, hampers and deckchairs. All anyone could want for the most stylish picnic. Dresses – Hand made kids clothing. Designed, cut and made in my studio in Peckham. Vintage fabrics, modern designs. The Jewellery Tea Party Company provides workshops in the privacy of your own home or workplace, allowing you to make unique jewellery with your friends and colleagues. Prices are based on a minimum of 6 attendees and groups can be of up to 12 people including children; larger groups may be accepted on request. Alicia who runs the business is an experienced and qualified teacher (QTS) and trainer (CITP/CIPD) with an extensive background in Education. She has recently completed studies in Fine art and continues to develop her creative practice in Jewellery, Sculpture and Printmaking. She uses her experience and techniques learned from other artistic disciplines to help her clients to create unique and good quality designs. 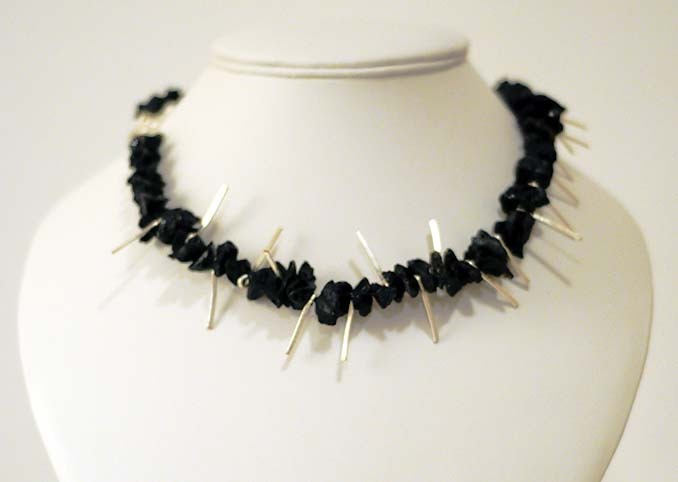 Alicia's jewellery, which has both a traditional and contemporary feel, is also available to purchase. She creates her pieces by exploring a variety of techniques and materials, provides a bespoke service and can repair pieces or recycle vintage items. Quilting Mafia is an independent design studio based in London founded by designer, artist and educator Elizabeth Oniri. Quilting Mafia design and produce Homeware and ladies accessories all her pieces are handmade and are either one-offs or limited edition collections, which are made from recycled, new and gifted fabrics. All pieces are either made using a sewing machine or by hand. She only uses natural fabrics to create just because she loves the way in which they feel and how they respond to manipulation. Elizabeth also runs workshops in schools and museums and accepts commissions. Having always had a passion for things a little bit old-fashioned and camp, Agnes Graves has been collecting old fabric since she was a child. With a fiery passion for things that look good (being a graphic designer by day) she only uses the best quality patterns and never vintage for the sake of vintage. She has recently released released her own exclusive fabrics; a cat design, inspired by 1960s haberdasheries (of course), and a second pattern inspired by her favourite drag queens. At the ThatAgnes stall you will find make-up bags, pencil cases, cushions and any illustrations that have taken her fancy that week. Everything is sourced from the UK and handmade in her kitchen in Brixton. Paul Francis has been working in around clothing for over twenty years, which includes designing and styling as well as selling vintage/period clothing. The buying of period clothing started around thirty years ago for personal use. That then led him into the world of designing, having often alterations to garments that he had purchased. The first job he got as a designer was to style and design the Groom side of a wedding, which included three different designs for eight men. He has continued to do styling, whether it be wedding groups, of which he’s done a number of in the last couple of years, mainly using period clothing, but some newly handmade. He also attends Spitalfields (Thursdays), Brixton (Saturdays) twice monthly, and periodically Covent Garden (Monday).